The MLJS API allowed people to create compelling MarkLogic based browser applications with a little coding. There is a full visual list of the widgets supported on the wiki Gallery page, but below is a summary of a few MLJS Workplace pages. 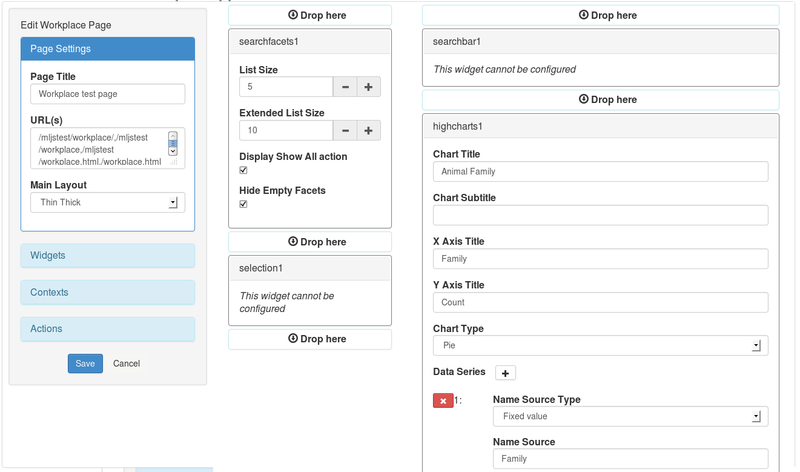 MLJS Workplace allows you to do this without a single piece of code!!! 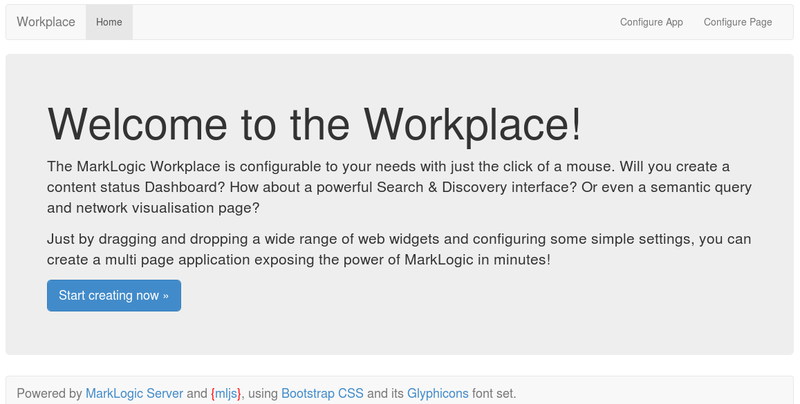 MLJS Workplace is a MarkLogic REST API application that once deployed allows you to add new app pages, configure the widgets on those page, and set configuration settings and search options. You can do all of this within Workplace itself – no coding necessary!!! These applications are built by dragging and dropping widgets in the browser, and settings configuration settings.